When a patient starts orthodontic treatment there will be some preliminary steps that are taken before braces are placed. One of the items performed are impressions. Most young patients have never had impressions before and they are nervous about going through it. Parents need to explain to their child that impressions are easy and they shouldn’t worry about having them taken. Orthodontists take many impressions during the work day. We take impressions before braces are placed and after braces are removed and for appliances, like retainers. An orthodontic impression is taken with a tray that fits over your teeth. The tray is then filled with alginate. 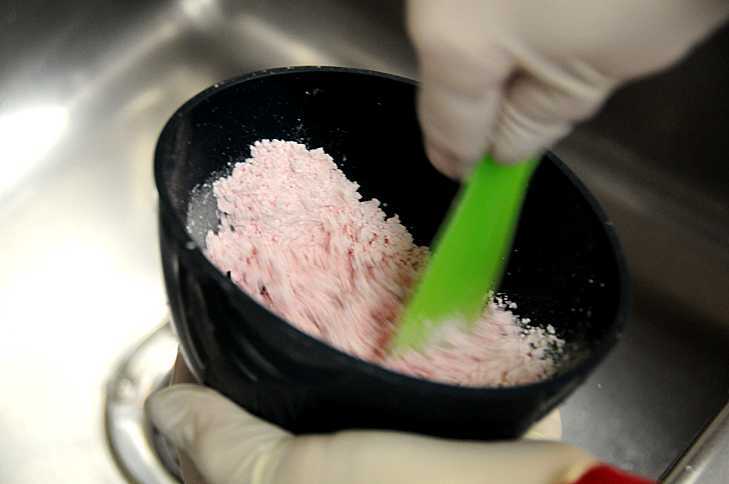 Alginate is a powder that is mixed with water to the consistency of cake batter. The alginate is placed into the tray and then placed into the patient’s mouth. This is the time when the patient becomes nervous or uncomfortable. The lower impression is usually done first and then the upper. With the upper impression, the patient may think that the alginate is going down their throat. It is not. We have to keep the tray in the mouth until the alginate sets up. Then it can be removed. 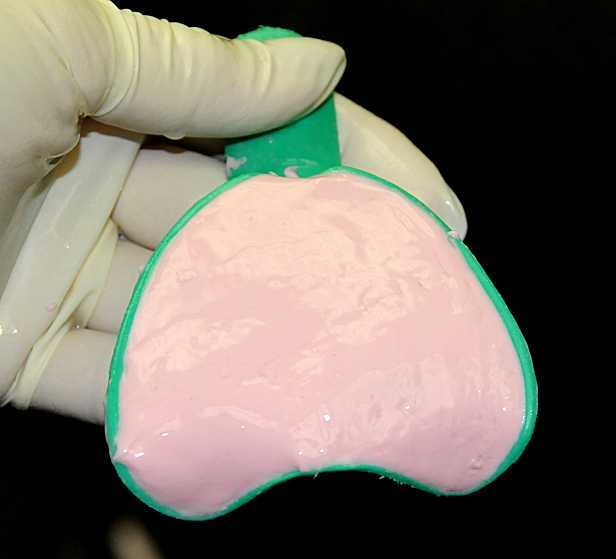 When the alginate has harden, it has imprints of your gums and teeth. The dentist will then pour stone or plaster into the imprints so that we can have a mold of your teeth for examination or to fabricate an appliance. This is the funny part of impressions. Alginate is sea weed or kelp. This kelp is typically found in cold water in places like California, San Diego, Scotland and Norway. Large commercial companies are located next to these good sources of giant kelp. Alginate is good for other industries besides dental like Hollywood make up artists, prosthetic reconstruction and other medical fields. If you are afraid the alginate is going down your throat, it is not. A good impression has to get to the back sections of your mouth, so it will fill like it is going down your throat. Most patients do better during the upper impression if they are distracted and not thinking about the impression. We try to distract them by talking about an unrelated subjects like the beach, cars, video games, etc. The impression hardens quickly after a minute so just hang in there. I have a Hyper Gag Reflex. What Can be Done? In the back of the mouth, everyone has a gag reflex or also known as the pharyngeal reflex. If you touch a certain area of the soft palate, the person will gag. Some patient’s gag reflex is a little farther forward than normal. Those patients will have a harder time with upper impressions. To lessen the gagging during the impression, we use a topical anesthetic that numbs the soft palate. 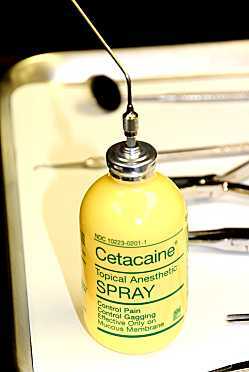 The anesthetic, Cetacaine, comes in a spray form and is sprayed in the back of the mouth. It doesn’t have a pleasant taste. After a few minutes the patient will be numb and ready for the impression. Do tell the person taking the impression if you have a hyper gag reflex. Don’t swallow a lot. You can drool onto your napkin. That’s ok. Swallowing causes gagging. Do breathe through your nose and not your mouth. Don’t be nervous. Impressions are easy and they have to be done. Do relax while the impression is taken. Don’t try to remove the tray. This would create a mess. 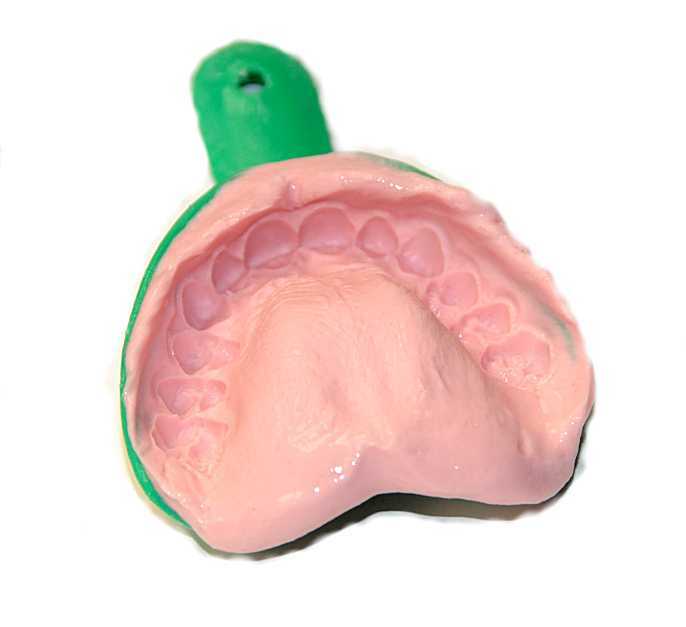 If the tray is removed too early, the impression will be ruined and another impression will be needed. Remember, impressions are easy and everyone has them taken for treatment. Don’t worry about having them done. Just relax and think it is just one step to getting that beautiful smile. ← Previous Previous post: How Can an Ankylosed Primary Tooth Effect Jaw Growth? Next → Next post: How are Orthodontic Hawley Retainers Made?